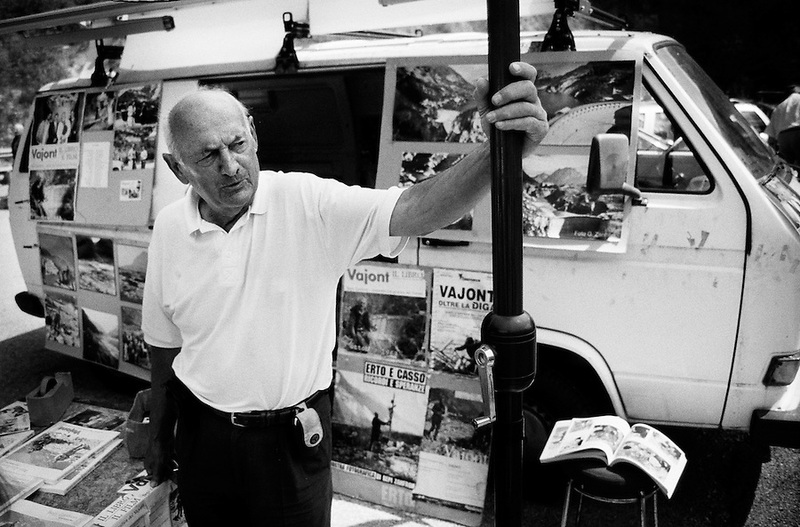 The photographer Bepi Zanfron documented the Vajont disaster in 1963 and is now selling his photobooks near the dam. On October 9th 1963 a giant landslide collapses into the artificial lake created by the Vajont Dam in northern Italy, provoking a 250 meters high wave that completely destroys the settlements near the lake and the town of Longarone far down in the valley below the dam. 1910 people lost their lives in a tragedy that easily could have been avoided if it was not for the economical and political interests of powerful men dreaming of the tallest dam in the world. A tragedy that is still alive today in Erto, Casso and Longarone, where the survivers of that disastrous day almost 50 years ago are still fighting for their justice.